Now the littlest readers can learn about the White House--how it came to be, and what it's like to live there! 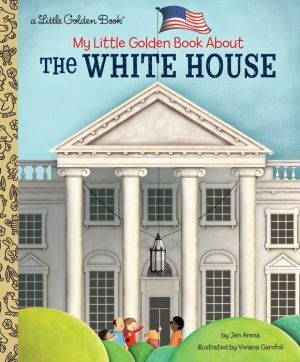 In this engaging Little Golden Book, preschoolers will enjoy fascinating stories about the White House and some of the presidents, First Families, and even First Pets who have lived there. Simple words and bright artwork bring to life the story of how the White House came to be, and how it has changed over time. Little ones will learn that George Washington himself chose the building site, and that nearly every president has left his mark--from Thomas Jefferson's introduction of "water closets"--early toilets!--to Michelle Obama's vegetable garden. And kids will gain a clear understanding of the role the White House plays in American life and culture. Fun anecdotes about the rowdy Roosevelt children riding metal trays down the staircase, the annual Easter Egg Roll, and how the White House once kept cows for milk complete this charming nonfiction Little Golden Book.